Join over 2 million people and make music with NodeBeat, the intuitive and fun visual music app for all ages. Whether you're 2 or 92, NodeBeat will make you sound like a pro. Create your own music in a matter of minutes or listen to NodeBeat generate its own. Easily share your creations with others or save them for later to show your friends. Discover your musical genius with NodeBeat! - Audiobus support: Now you can stream live audio directly to other Audiobus-compatible apps! See http://audiob.us for more information. 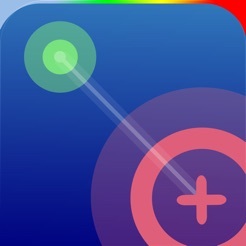 NodeBeat is available for iPhone, iPod Touch, iPad, and Mac. Minor update with some bug fixes and new screenshots. Enjoy! Enjoying NodeBeat? Please help by updating your rating and review. It really helps! More fully featured than many other generators costigg twice and three times as much. Great approach to having movement being a feature to turn on and off. I love being able to send other nodes flying around and keep generators anchored. 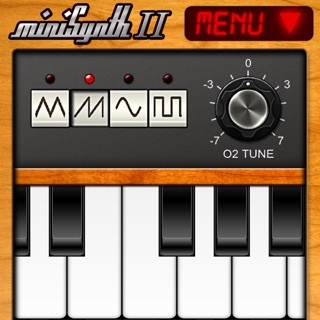 The key selector/chord generator is second to only one other app I have. For the price cannot go wrong. Been using nodebeat for more than a year and the more I explore its capabilities, the more I'm impressed. It's basic functionality is intuitive, sounds great and enough to own this app. Dig further into it and you may be pleasantly surprised, as I was. Lots of options. Easy to use interface. Options to make your own music, record and share OR simply let it play on its own in the background.